Being trained as teachers for early childhood kids offers adolescent girls at risk the chance to create a turning point in their lives. Connecting with the world of early childhood and with the various feelings it arouses becomes as an effective social-educational tool that provides the girls with a different perception of themselves and of the world. 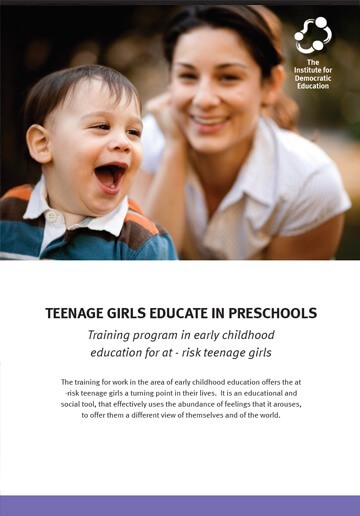 The training program for adolescent girls at risk as early childhood teachers is running in educational and therapeutic frameworks, as well as in community centers, and is based on the research concept of creating a game-changing experience. Contact with early childhood kids allows the girls to process, learn and mend in the present the behavior patterns and worldview they adopted in the past, and provides them with an opportunity to change their lives. The program empowers the girls, gives them a sense of their own capabilities, reinforces their relations with the community and gives them a chance at higher education. The learning processes in the program promote the development of life skills and coping abilities, and provide an optimistic view of the future.  Why contact with early childhood? A journey to childhood – the return journey leads to reflective and critical contemplation, heals ancient scars and stimulates an emotional key experience, which helps achieve a personal and professional turning point. A new attitude – the humanistic-democratic approach on which the program is based enables the girls to recognize their own importance as individuals with free choice, and reshapes their relations with others. A community repair – the alienation, social isolation and rejection they experienced before are now replaced by acceptance, esteem and satisfaction. They turn from being needy to being contributing and being able to influence their surroundings. A personal empowerment – by acquiring skills and reinforcing their self-confidence and sense of capability, the girls achieve success which motivates them towards a new personal, social, occupational and professional horizon. The early childhood staff at the Institute for Democratic Education is in charge of developing contents, creating educational models, adapting them to the target settings, training the staffs and providing them with an academic and practical accompaniment throughout the entire training period. The program is modular and fits different frameworks. It includes theoretical training in pedagogy and psychology, practical field work and learning days in colleges, in order to get to know the academic world. This is a two-year training program in collaboration with Elem and the David Yellin College, in which the girls are sent to specialize in kindergartens in the social and geographic periphery. This is a short-term program that trains drop-out youth and helps them find work. The school has set up a course of study which includes matriculation in education and psychology for children from the social and/or geographical periphery.